As eCommerce continues to grow, discovering new ways to stand out to potential customers is more critical now than ever before. In the process of generating new customers, an age-old marketing truth continues to ring true; never compete on price alone. Some merchants tend to believe that price is the determining factor. In some cases, that probably is true. However, consumer research shows that when comparing products customers rate price as the third-most important factor. So if the price tag is only a small piece of the puzzle, what matters more? Adobe CEO, Shantanu Narayen provides an answer for what matters more than price to customers: “Consumers are seeking phenomenal experiences. Successful companies recognize that customer experience rises above everything else.” At first, Narayen’s answer might sound counterintuitive. Most people shop online for convenience, and price plays a crucial role in product search and accessibility. 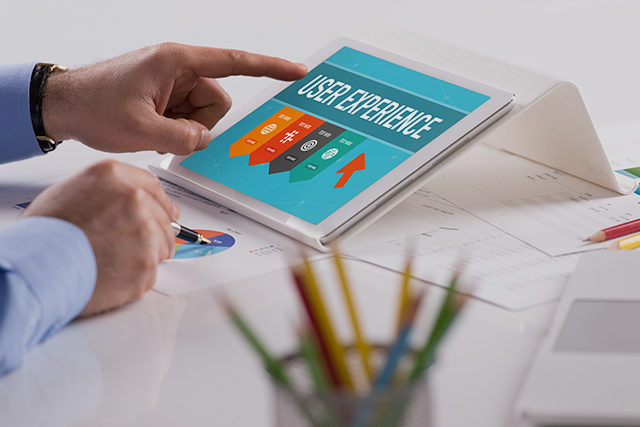 However, don’t underestimate the importance of excellent user experience. For example, online retailer, Zappos focused on customer experience above all else which led to a billion-dollar acquisition by Amazon. Business schools around the world teach Zappos case as an example of good business. It’s clear that delivering a superior customer experience is the best way to stand out and sustain growth even in a competitive environment. But, that may be easier said than done. How can merchants construct a plan to create a digital presence that inspires meaningful customer experiences for eCommerce? To help answer that question, below are eight ways to create meaningful customer experiences in eCommerce. Hopefully, merchants are already aware of the importance of a quality product page. But good means more than just a simple description of product descriptions, price, and product add-on opportunities. Good product pages engage customers and help them build a connection with products. Exceptional photography that showcases the product from many angles. Product videos which by the way, are known to increase conversions by up to 85%. User reviews and testimonials that highlight other customers’ positive experiences. The elements listed above are essential for building a product page designed not just to convert, but engage customers. With the right resources, merchants can even take engagement a step farther. Augmented and Virtual Reality (AR and VR), for example, can help create an immersive shopping experience that is sure to outpace the competition. Focusing on the full path to purchase user experience is an opportunity to maximize the impact on all customers. One aspect to take into account is accessibility. Never underestimate, or neglect, customers with disabilities. For example, 285 million people are estimated to be visually impaired worldwide. Providing an equal shopping opportunity to customers shouldn’t be ignored. Target learned an eye-opening lesson when they settled a $6 million class-action lawsuit by blind customers who’d struggled to use the website. Target then agreed to have the site compliant within six months. As is so often the case, merchants end up spending more to modify a website – and in Target’s case, deal with the financial consequences and PR nightmare of a lawsuit – than they would have paid to design it to be accessible from the beginning. Also, it’s important to note that the Americans with Disabilities Act (ADA) now applies to eCommerce too. The National Law Review issued a warning that “website accessibility lawsuits under ADA are on the rise.” It would be prudent for eCommerce merchants to begin a plan for ADA compliance not only to create a happy user experience for everyone but to avoid painful lawsuits and brand damage. Another implementation point should be simplicity. Make sure that the website allows customers to find what they’re looking for quickly. Throughout the path to purchase process, subtle design choices from whitespace to call to action buttons should nudge the customer toward the final “complete purchase“ button. Don’t assume that the customer’s interest begins or ends with just the product pages. Instead, ensure that the entire website is built to help customers delight in the brand experience, and imagine themselves using the products. That might include an active company blog to show real-life cases of products. The same space could also be useful for behind-the-scenes footage that lets customers share in the product creation process. The emphasis should be on storytelling, building an emotional connection with customers that will ultimately pay off in more purchases. The goal is to generate sales. In the interest of that goal, it’s tempting to cross the line between authentic brand experience and naked salesmanship. Avoid that temptation by emphasizing authenticity as a core brand value. Above all, consistent communication is critical. From the moment customers first hear the brand name to and even after the first conversion, focus on the same brand mantra and message pillars. Relate each message point back to the customer, and their needs and pain points. The product page optimization tactics mentioned above, such as product stories and testimonials, can build authenticity by creating a consistent account that allows customers to imagine themselves becoming part of it. The checkout process plays a crucial role in offering a superior customer experience. Here, merchants can either make or break a long-term relationship with potential buyers. Customers have noted abandoning carts for many reasons and according to Baynard, “28% of US online shoppers have abandoned an order in the past solely due to a “too long/complicated checkout process.” A study conducted by Barilliance concluded that over 3/4 of shoppers choose to leave the site without completing a purchase. High cart abandonment rates show just how difficult it is to keep customers engaged. Integrate easy payment options, such as Amazon Pay and Klarna delayed payments. Include instant tax calculations based on zip codes, which avoid confusion and dissatisfaction over pricing. Offer a range of shipping options that allow the customer to choose between speed and value. Build a fast-loading shopping cart that loads quickly, without long wait times on mobile or desktop devices. Personalization is key to a superior online shopping experience. Almost 90% of consumers say they’re more likely to shop with retailers that deliver personalized experiences. Less than 10% of top-tier retailers say they effectively provide that type of experience. That doesn’t have to be the case. All communications should be both segmented and customized. As soon as customer information is available, use it to build a more relevant message. That might be as simple as including a first name, or as complex as sending a customized email specifically to a customer segment who has recently purchased a specific product or from a product category. It’s also advisable to look for ways to go beyond the norm. For example, Zappos regularly upgrades customers from regular to priority shipping. That upgrade is built into the Zappos budget but creates loyalty among consumers who feel like VIPs rather than a number in a CRM. Don’t make the mistake of assuming that when a customer makes a purchase, the end goal has been met. The reality is that the customer journey is really just beginning. The majority of revenue likely comes from repeat customers, which means they deserve special treatment. When merchants deliver excellent post-purchase communications, they optimize their customer loyalty. Customer relationships should begin when the customer creates an account. After that, customize everything available to fit the customers’ likes and preferences. Custom content allows merchants to greet customers by name, offer personalized promotions, and recommend products based on past purchases. Put effort into building a relationship, and revenue will begin to maximize. Consider creating custom content such as blog post and tutorials, available only to current customers. The more merchants do to bind customers to their brand emotionally, the more customers will delight in their experience when shopping. Finally, never underestimate the power of useful data. Always measure efforts, especially as it relates to creating meaningful relationships. Set a baseline before implementing the measures above to understand the current customer’s expectations. The key, of course, is not just meeting these expectations but surpassing them. Anytime that merchants can create a wow moment in which they deliver exceptional value for a customer, it is almost a guarantee to build a relationship that ultimately leads to a sale. By exceeding expectations, merchants set themselves apart from the competition. In isolation, all of the above are effective tactics for creating meaningful experiences in eCommerce. But to surpass customer expectations and create a superior experience, consider building a combination of them. In-depth, interactive product pages work great with a streamlined checkout process. Add conscious efforts to build a post-purchase relationship, and build strong emotional connections with customers. Of course, these efforts requires both a strategic approach and the right tools. We can help in both areas. Our experience in designing beautiful and successful eCommerce websites is perfect for building more meaningful customer relationships. Contact us to start talking about a potential partnership.